Asian shares wavered on Friday as investors were on edge before a crucial weekend meeting between the Chinese and U.S. presidents that could determine the course of a heated trade war over the next year. 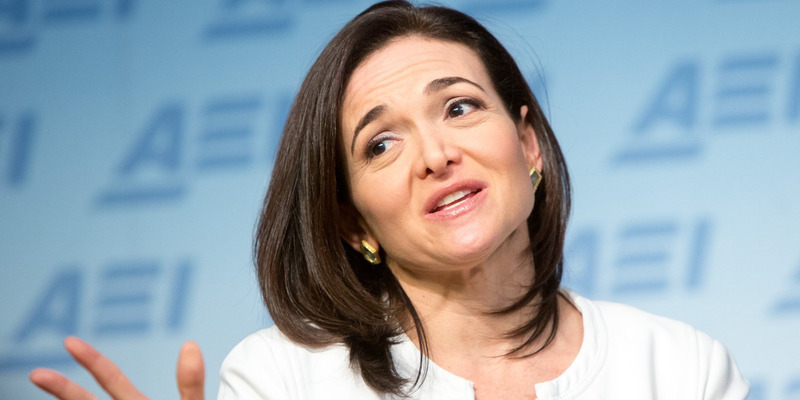 Sheryl Sandberg reportedly wanted to know if George Soros, who publicly criticized Facebook, was shorting the company's stock. OCSL earnings call for the period ending September 30, 2018. Shares of Indian automaker Tata Motors Ltd's fell on Friday after its British unit Jaguar Land Rover said it is going to cut 500 jobs temporarily at its plant in central England. At a makeshift kiosk outside her home in a South Jakarta backstreet, 39-year-old Julaiha stands at the front lines of a multi-billion-dollar battle over one of the richest opportunities in the global digital economy. SPLK earnings call for the period ending October 31, 2018. Oil prices firmed on Friday on expectations that OPEC and Russia will agree some form of production cuts next week, although swelling U.S. supplies kept markets in check. India expects Saudi Arabia to ramp up investments in several sectors including technology, farm and energy over the next couple of years, a senior Indian official said, after a meeting between Saudi Crown Prince Mohammed bin Salman and Prime Minister Narendra Modi. Gail India is proposing to swap three liquefied natural gas (LNG) cargoes across the first quarter of next year, trade sources said on Friday. The U.S. head of Nio Inc, an electric carmaker seen as one of the main Chinese rivals to Tesla Inc, will leave the company, the firm said in a filing on Friday, the first major management departure since its September IPO. China and the United States can reach a trade agreement at the G20 meeting in Argentina this week, the state-run China Daily newspaper said in an editorial on Friday, but Washington must be "fair minded" if it wants to defuse spiralling tensions. Here's the Investment Warren Buffett Thinks "Makes the Most Sense Practically All of the Time"
Buffett is right: This easy investment can give you the stock market's returns while charging minuscule fees. Saudi Crown Prince Mohammed bin Salman met with Indian Prime Minister Narendra Modi and discussed cooperation between the two countries in security, energy and investments, the Saudi press agency (Spa) said early on Friday. WDAY earnings call for the period ending October 31, 2018. CMD earnings call for the period ending October 30, 2018. HPQ earnings call for the period ending October 31, 2018. Growth in China's vast manufacturing sector stalled for the first time in over two years in November, missing expectations and adding pressure on Beijing to roll out more economic support measures amid a bitter trade war with the United States.